If we give students independence and choice, they are more likely to engage; the same applies for teachers. 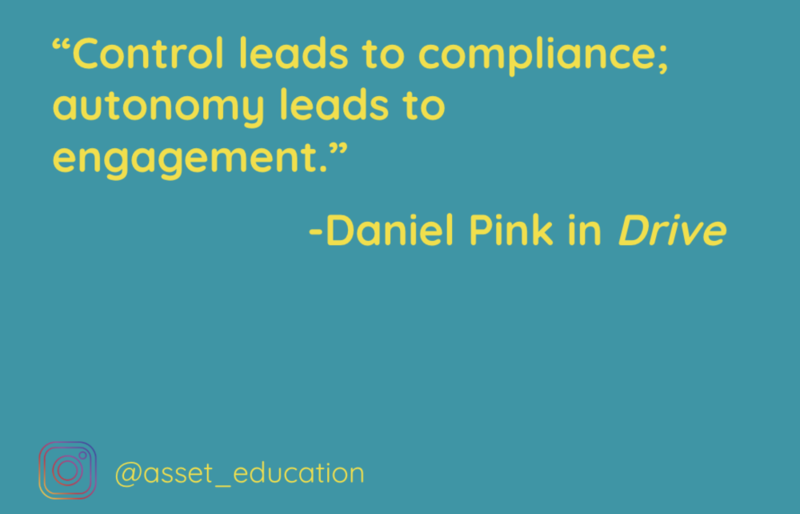 It can be hard to implement a plug-and-play curriculum like ASSET. Each teacher has his or her own style, and some of the language in the lesson plans might not align with your vibe. A great way to make the ASSET curriculum your own is by introducing the tools with personal stories. You can share a stressor of yours, a time you dealt with stress negatively or positively, your experience practicing these ASSET tools outside of the classroom--anything! While the script is always there to lean on, infusing your stories and personality will make this curriculum relatable and more enjoyable for you and your students.